Thank you for being a part of the KNOM family. Your support is appreciated especially at this time: the days are getting shorter and winter is already near. We are working to prepare for the cold months, and thankfully, we have lots of dedicated people to help us. Talented people like Les Brown, Willy Hoogendorn, and Dennis Pullock – as described in the articles "Up on the Roof" and "Thank You, Les! ", below – offered their energies in late summer to ensure that KNOM's facilities are as well maintained and energy efficient as possible. 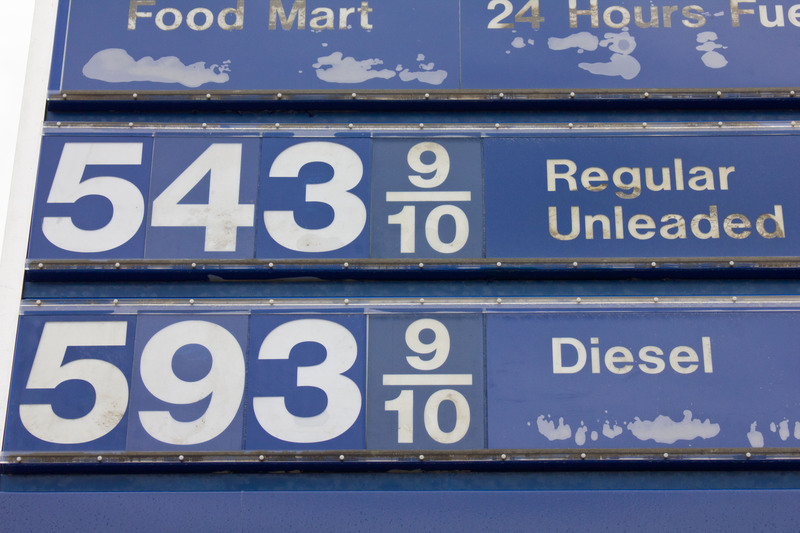 As you'll discover below (in "What It Costs"), cost efficiency has never been more essential to our mission, as gas and fuel prices continue to rise. Efficiency and ease of maintenance are our goals, also, for KNOM's digital studio renovations: a project that would expand our studio space and convert our broadcast hardware from analog to digital. Thanks to volunteer engineers and architects, our new studio plans and cost estimates will soon be ready for submittal to foundations and organizations for a matching gift campaign. We're also excited to report that our fundraising for the studio fund has – thanks to you! – reached a new milestone. You'll find more in "Moving Toward Our Goal," below. Amid all the work, we remain focused, as always, on the needs of our listeners and the uniqueness of our region: whether in encouraging education (read more in "Back to School") or in cheerfully anticipating the arrival of winter (see "When Will It Snow?"). Every day, in so many ways, we strive to be a source of inspiration and information for thousands: all thanks to you. 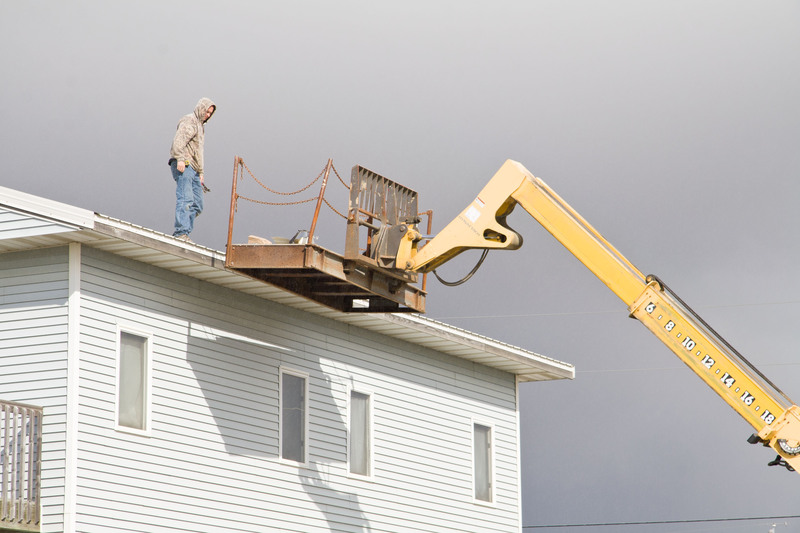 Autumn has returned to Western Alaska, and with it, the start of a new school year. Across our region, thousands are hitting the books, and a great many of these students (or, in the case of the young ones, their parents) discover what's happening at their school on KNOM. 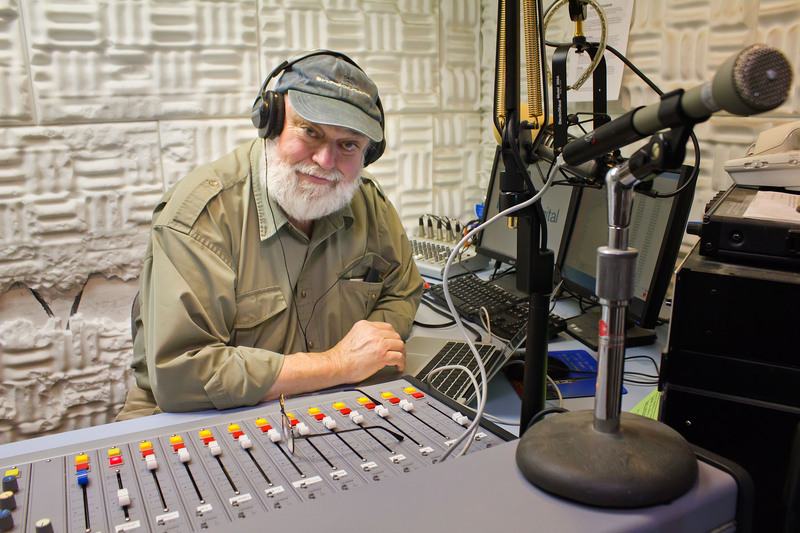 KNOM's news department also closely follows our region's school boards and reports on the decisions, debates and developments that affect the state of education in rural Alaska. We're also happy to support the post-secondary degree programs and continuing education opportunities of our region, especially through the local branch of the University of Alaska-Fairbanks – Northwest Campus – located in Nome. 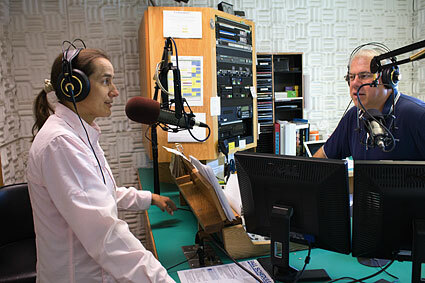 Pictured above with general manager Ric Schmidt is Northwest Campus' Carol Gales, chatting with Ric about the classes being offered during the fall 2011 semester. Thanks to your support, KNOM encourages Western Alaska's students – from its kindergartners to its doctoral candidates – to better themselves. I have held many things in my hands, and I have lost all of them. But whatever I place in God's hands, I keep. 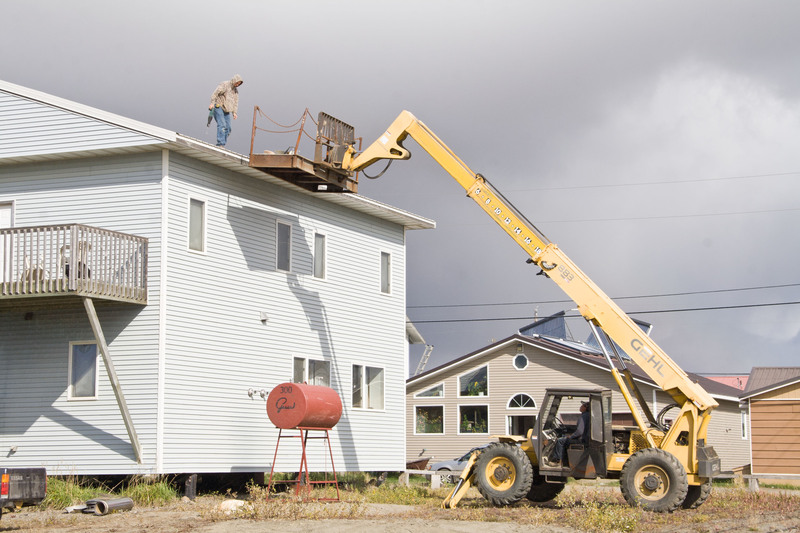 In Western Alaska, days warm enough to do outside construction or renovation work are few. But this year, we've made the most of this (rare) warmer weather, and we're grateful for the handymen whose hard work has made KNOM's facilities more fuel efficient. 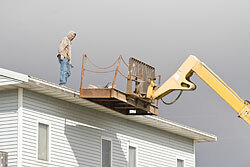 Pictured at left, you'll see Willy Hoogendorn removing an exhaust stack from the KNOM volunteer dormitory roof. 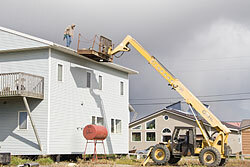 Willy's supported by Dennis Pullock, manning the cherry-picker. The stack was no longer needed because of a new heating apparatus (detailed in the September Static) that will save us hundreds of dollars a year in operating costs. Many thanks, Willy and Dennis! There are changes coming to the Roman Missal used for Catholic Mass. Starting November 27th, some of the prayers said at Mass will have slightly revised language, incorporating new translations of sacred texts. 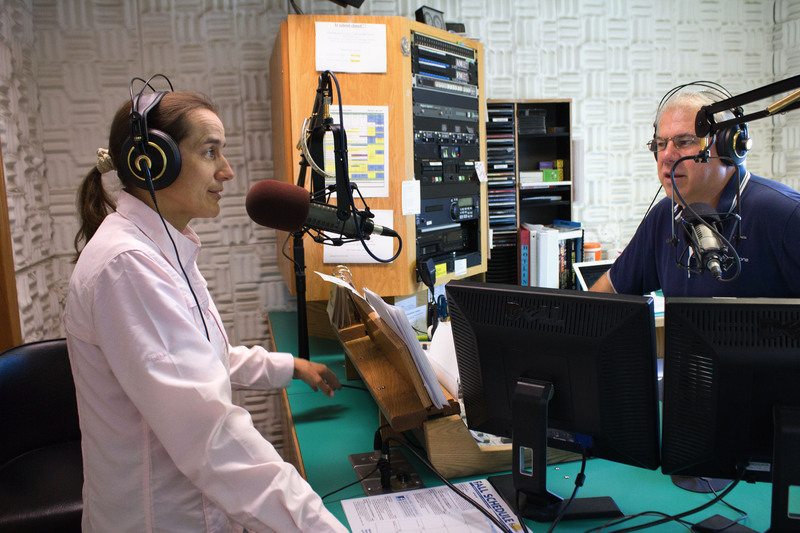 The faithful in Western Alaska will learn about these changes on KNOM's airwaves, thanks to a series of radio spots spearheaded by Father Ross Tozzi, a former KNOM volunteer and the pastor of Nome's St. Joseph Catholic Church. It's made possible thanks to you! As we've written in prior editions of the Static, one of our top priorities for the coming months is the digital renovation and expansion of KNOM's broadcast studios. It's crucially needed; the project would give us more space and allow us to service and maintain our studios much more easily and cost-effectively. 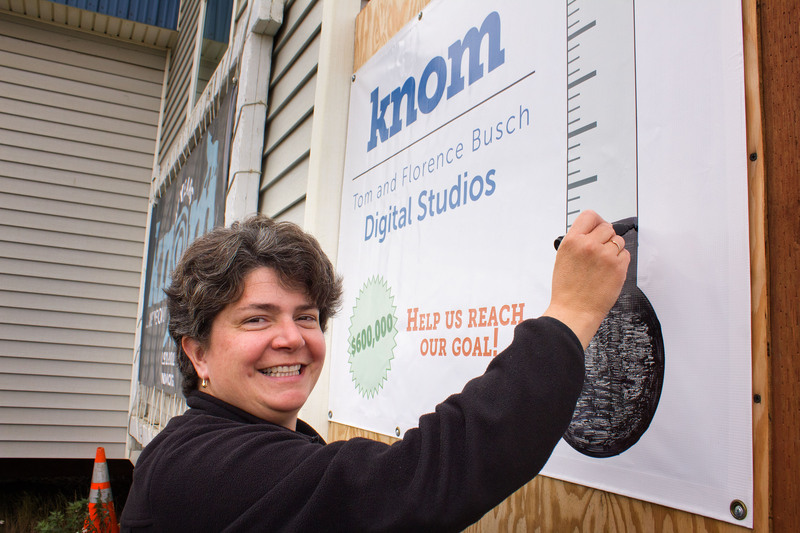 We estimate that this project (which we've dedicated to KNOM founder Tom Busch and his wife, Florence) will cost $600,000. 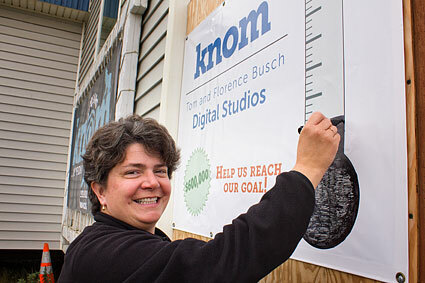 So far, your incredible generosity has put us over the $100,000 mark, allowing development specialist Betsy Brennan – seen above – to fill in a bit more of the fundraising thermometer seen outside KNOM studios. Thank you so much! 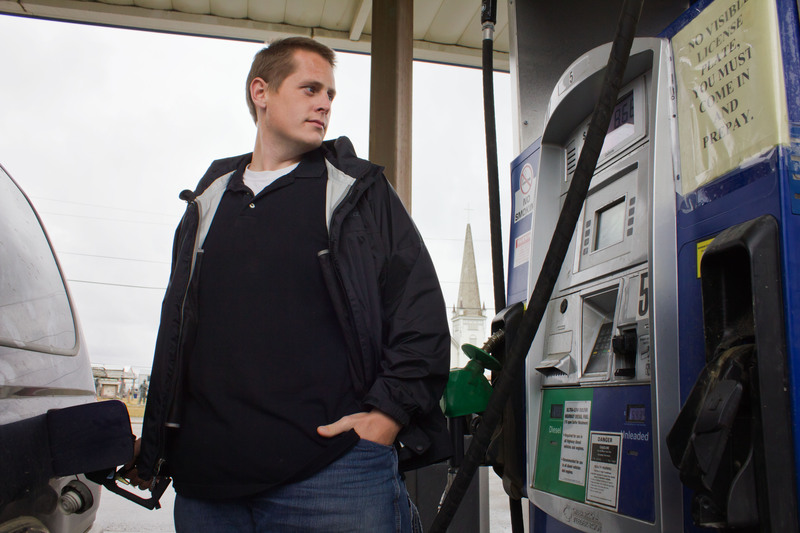 The price for fuel continues to climb in Western Alaska. Because of the difficulty of shipping refined fuels to the sub-Arctic – without a road system, all fuel must be transported by sea barge – our region's prices for gasoline, diesel, and heating oil are some of the very highest in the country. Many in our listening range face substantial burdens to keep their homes heated, and of course, these hardships are the worst during winter, when heating fuel is used and needed the most. 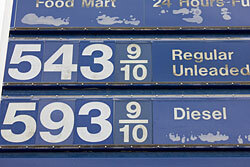 In Nome, prices for gasoline, as you'll see in the photos at left, stand at well over five dollars a gallon: nearly six dollars for a gallon of diesel. Volunteer Matthew Smith is seen fueling KNOM's truck at a Nome filling station, where a full tank of gas can easily exceed $100. 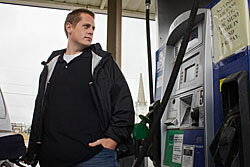 And Nome's gas is far cheaper than many of the villages we serve. It's because of these extremely high costs that we so appreciate your generosity: and why, more than ever, we're taking steps to be as fuel-efficient as we can. Both current and future renovation projects – like those detailed above – will help our mission keep operating costs to a minimum. Lord, I hear your gentle voice on the wind, in the laughter of a child, and even when I am most troubled. Please let me hear you all the days of my life. 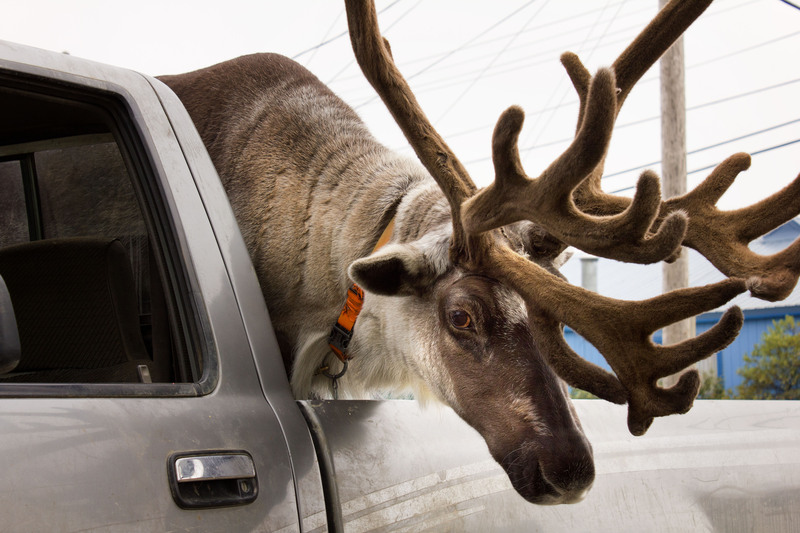 It's not everyday that you see a reindeer riding around in a pickup truck: that is, unless you live in Nome, Alaska. 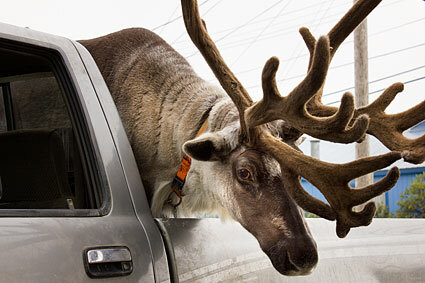 A familiar sight in Nome (where KNOM is headquartered) is Velvet Eyes, the pet reindeer of Carl Emmons. 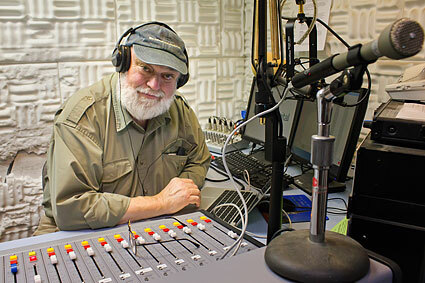 Carl – a local handyman and plumber – is one of the many people who help KNOM stay on the air; he was helping with maintenance tasks at KNOM's volunteer dormitory (as further detailed above) and graciously allowed us to snap this picture of Velvet Eyes. This summer, we were so fortunate to benefit, once again, from the peerless expertise and sage advice of volunteer engineer Les Brown (pictured above). Les – while in Nome to pay his respects after the death of a friend – spent many hours at KNOM's facilities. 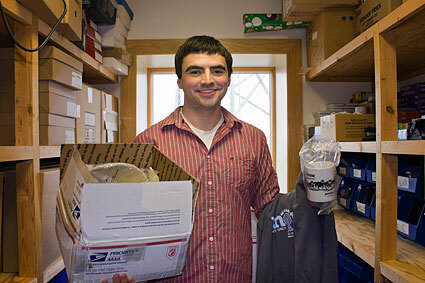 He fixed hardware problems, performed equipment checks at our AM transmitter site, and offered invaluable advice on what maintenance issues may need to be addressed in the future. As we move toward our studio expansion (mentioned above), we're so grateful for the support of talented people like Les – and for the generosity of donors like you. No matter what language you speak, and no matter whom you talk to, kindness is the universal language of love. That's the question volunteer Matty Guiffré – host of KNOM's Morning Show – asked Western Alaska earlier this year. 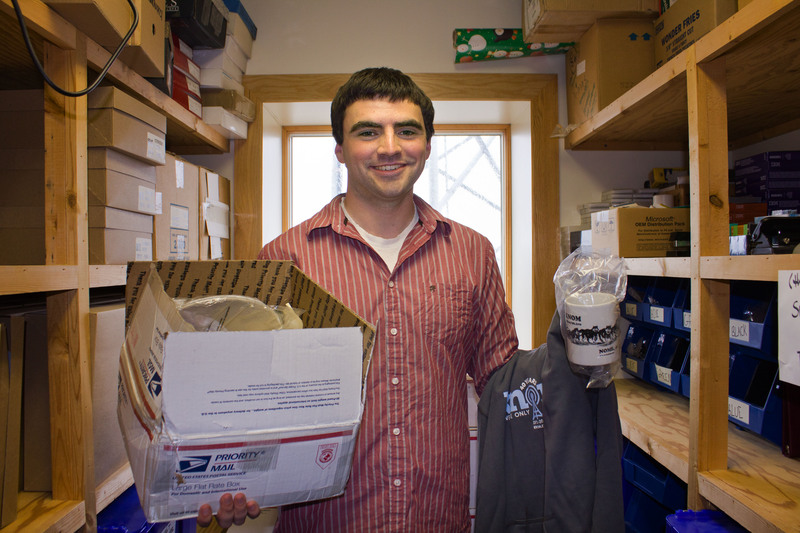 Matty (pictured above) offered a special giveaway prize for the listener who most accurately predicted the very first snowfall at Nome's airport (where our local branch of the National Weather Service is located and where official weather observations are taken). As we go to press, we don't yet have an answer to Matty's question, but we're happy to report an enthusiastic response from our listeners. The guesses we received ranged from September 3rd to the 29th, and while we don't yet know who won the contest, it's a safe bet that there's already been a Nome snowfall by the time you read this.